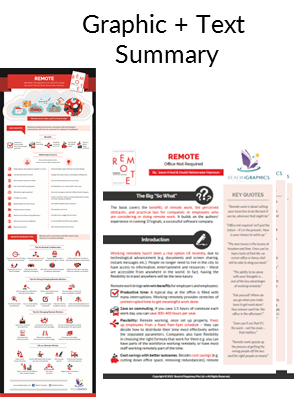 Find out how to use Remote Work to achieve more flexibility, cost savings and results for you and your organization! See more details below. 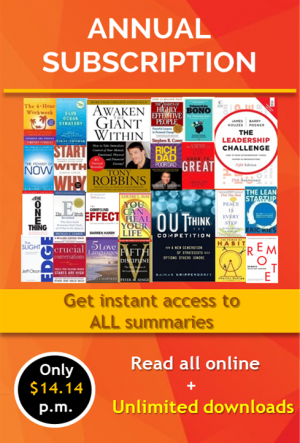 Buy the Graphic, Text, and/ or Audio summaries now! Find out how to use Remote Work to achieve more flexibility, cost savings and results for you and your organization! 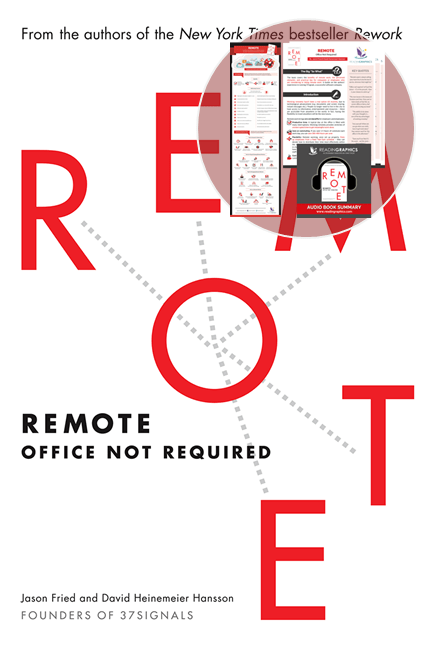 The book covers the benefits of remote work, the perceived obstacles, and practical tips for companies or employees who are considering or doing remote work. 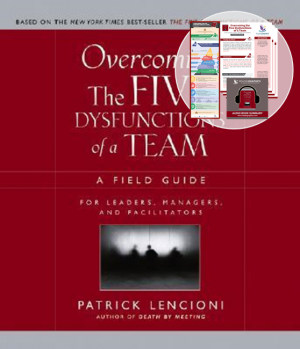 It builds on the authors’ experience in running 37signals, a successful software company. 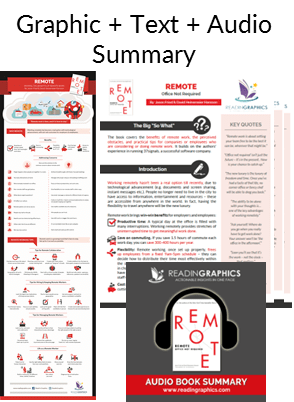 • Discover ways to work most effectively as a remote worker. This is a very tricky book to review. 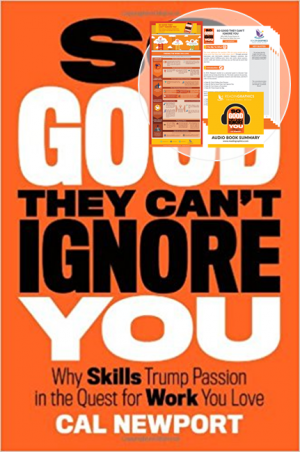 (1) If you work remotely and have company that tolerates or promotes remote working, this book gets three stars…you will still learn things, and the book confirms a number of things you have suspected but not really articulated. 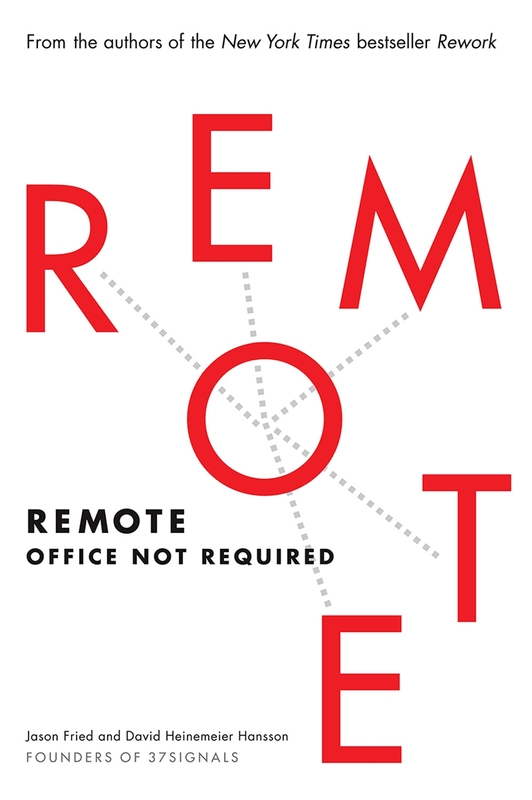 (2) Your company thinks remote work is insane. 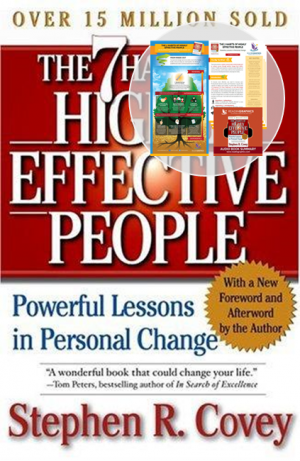 You really need to read this book. For you guys, it’s five stars all the way. (3) Your company tolerates remote work but hasn’t really figured it out. The book provides a good deal of guidance. 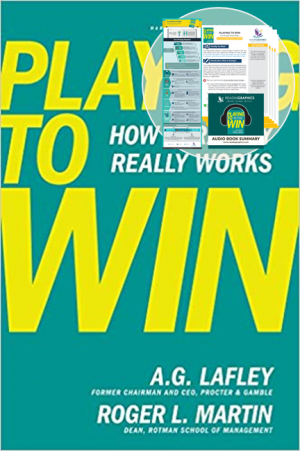 I think this is a five star book for you, too, because it’s about time that you thought hard about your lack of planning and thought in this area. As a remote worker, I felt very connected with the stories in this book. TBH, I was already familar with most of the recommendations, because I have been working remotely for a year, but that’s actually a good thing, because it means that we’re all on the same channel and there’s a common path to success for remote workers.